North America more in "Asheville"
The Grove Park Inn opened on July 12, 1913. Secretary of State, William Jennings Bryan, delivered the keynote address to four hundred of the most distinguished men of the South, gathered for the opening banquet. He had no idea of how true his words would become when he proclaimed that The Grove Park Inn "was built for the ages." 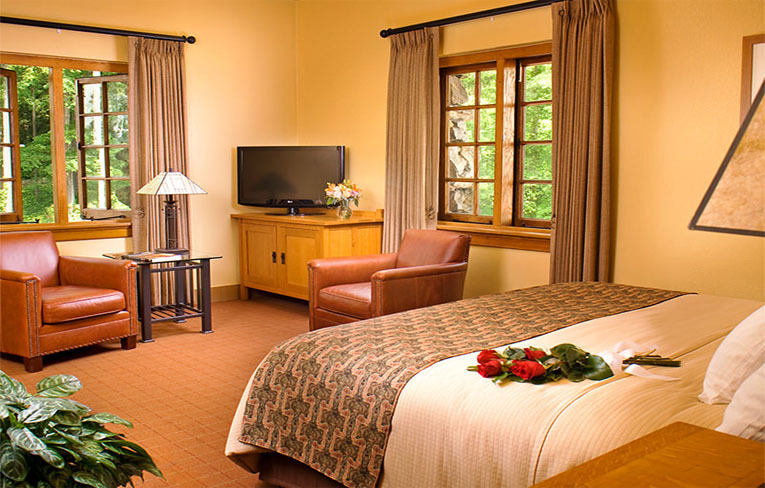 There's a reason guests have been staying at The Grove Park Inn for one hundred years. 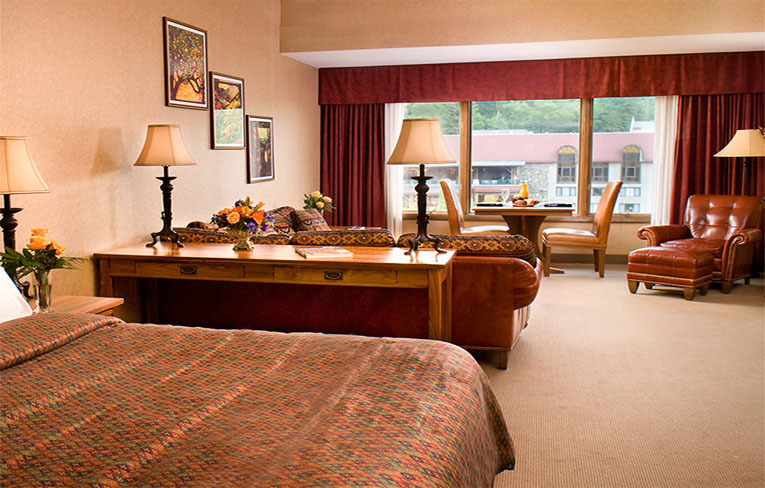 They come for relaxation, rejuvenation and to breathe in the clean mountain air. 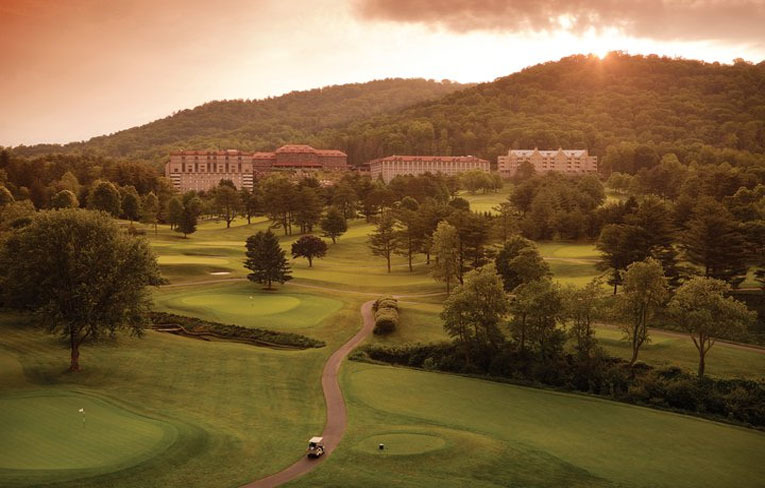 The Inn, set atop Sunset Mountain, features guestrooms with spectacular views of the Blue Ridge Mountains and its lush Donald Ross' designed golf course. 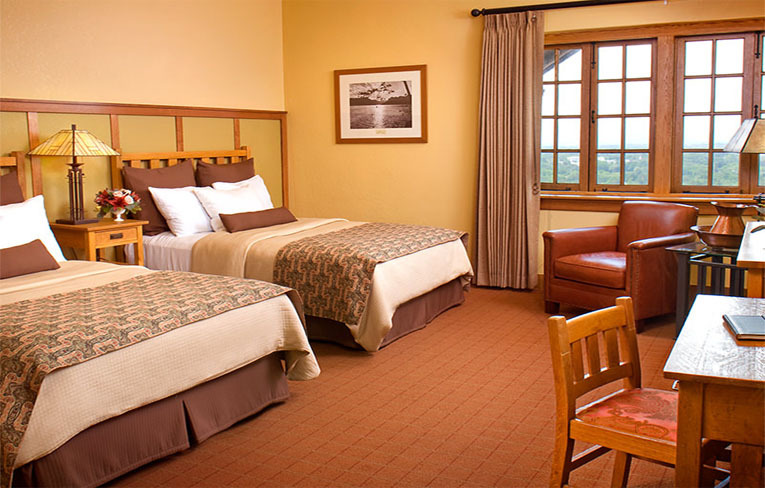 Choose one of the Inn's oldest rooms in The Main Inn furnished with Roycroft Arts and Crafts décor. 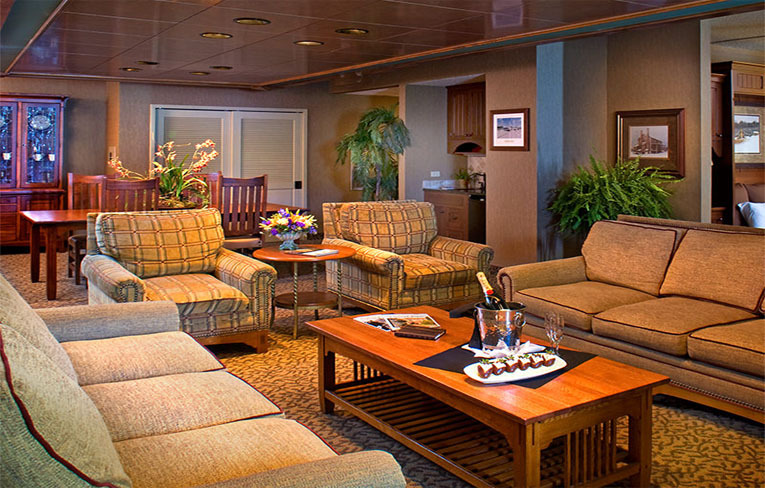 Or, opt for something larger and more modern with a room or suite located in the newer Sammons and Vanderbilt Wings, including the exclusive Club Floor. Pamper yourself in the $50 million 43,000-square-foot subterranean spa featuring cavernous rock walls, arches, tunnels and 20 water features. The main pool area features two therapeutic waterfall pools, a warm mineral pool and lap pool with 6,500 fiber-optic stars embedded in the ceiling and constant underwater music. Enjoy exhilarating contrast pools, an inhalation room and eucalyptus-infused steam room. 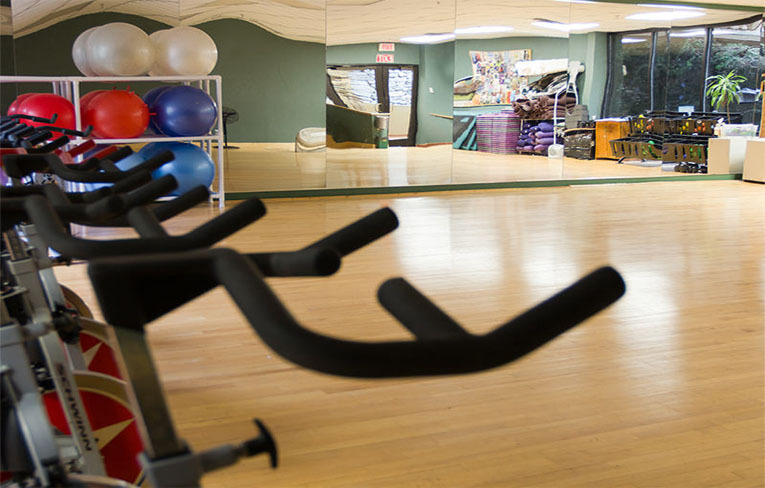 The 50,000-square-foot Sports Complex is the home to indoor and outdoor tennis courts, a racquetball court, an indoor pool, a Fitness Club, a cardio room, table tennis and pool tables, a Tennis Pro Shop and lounges and locker rooms for guest use. The Sports Complex also offers fitness training, yoga classes, tennis clinics and children's programs. The 10 pools are mineral-based and chlorine-free, containing trace minerals of sodium, potassium, magnesium and zinc. Three fireside lounges await you with overstuffed chairs, warm blankets, light snacks, hot organic teas and herbal infused waters. 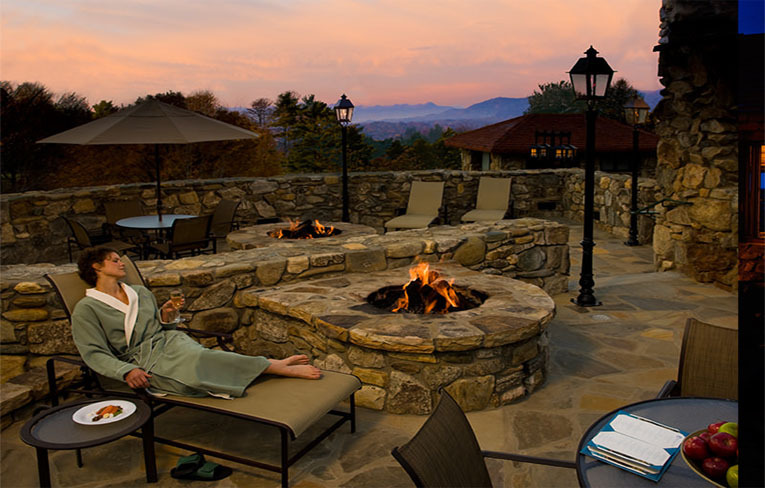 And step outside to enjoy fireplaces, whirlpool, and a tiered outdoor terrace with panoramic mountain views. 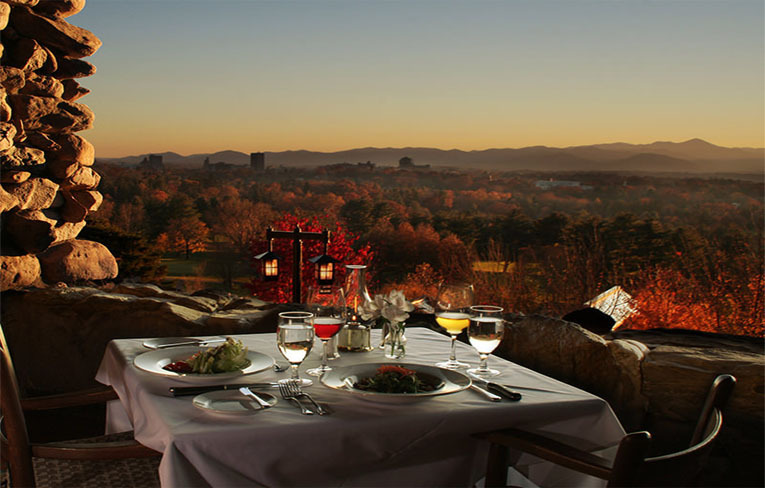 Some of the finest restaurants in Asheville are right here at The Grove Park Inn. From restaurants to bars to terraces with breathtaking mountain views, there are plenty of ways to please your palate while on-property.